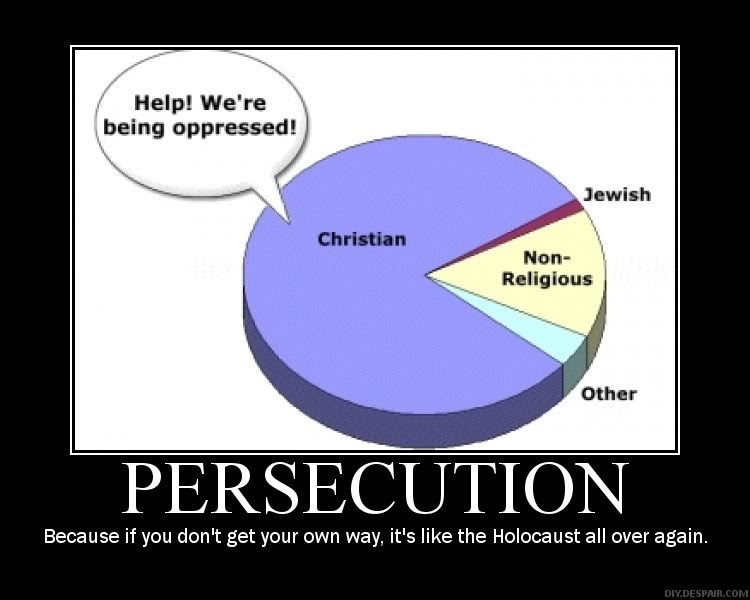 Michelle Boorstein's article, "The Worst Victims of Christian Persecution? Look Beyond America, Author Says," tells us how "(t)he ordinary American, when you talk about religious persecution, they think it’s about whether you can pray before a football game. The global situation is something most folks never thought about before..."
"As one of the most widely respected U.S. reporters covering the Catholic Church, John Allen travels around the world following popes. Allen, who has been with the National Catholic Reporter since 1997, said he became more and more struck by the sense of discomfort and sometimes fear and violence Christians experience in many spots outside the United States. That drove him to write 'The Global War on Christians' which came out this fall. Washington Post religion reporter Michelle Boorstein spoke with Allen about what he thinks is driving this and how it contrasts with religious tensions in the United States. "Q: Why did you do this book? "A: For my beat, I travel with popes. 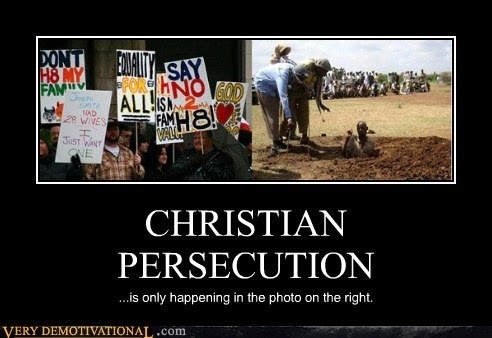 Anytime we’d go outside the West, I’d always bump into victims of Christian persecution. At first, I thought this was tragic but kind of rare. My idea of suffering was eating fish sticks on Friday. But then I realized: These are not outlier cases; this is a pattern. Why didn’t I know that? "The narrative about Christianity is that it’s this big, rich, politically wired institution that controls a lot of stuff. And that’s been our experience in the United States. But it doesn’t do justice to the rest of the world. There are 2.3 billion Christians, two-thirds of whom live in the Southern Hemisphere.. . . Most are poor, most are ethnic and linguistic minorities. And also those local Christian populations are good targets for people mad at the West. It’s hard to storm the U.S. Consulate; it’s easy to storm the people down the block. The typical Christian in the world isn’t a middle-class white guy. It’s an impoverished mother of five in the Congo who is at extra risk. "What are the contemporary features of this? Did something specific change? "The real explosion [of anti-Christian sentiment] was in the last quarter of the 20th century. The world population of Christians shot up, and the responsibility for [Christian] missionary work shifted from foreigners to local people. Instead of white Irish priests [as evangelizers], you had a generation of local Kenyans. ". . . The same way we wrongly associate Islam with the Middle East when most Muslims aren’t Arab, when people hear 'Christian,' they think of the West, of Europe and the States. If you are a radical Hindu in Orissa in India or a radical Muslim in Pakistan and you’re mad at the West, who can you take that out on? ". . . Muslims will turn out in droves to help people rebuild. Muslims link hands around [threatened] Christian churches in some places; the vast majority of people have this kind of reaction. "Your book focuses on Christians. Is the killing of Christians different in your view from other ethnic, religious and tribal killing? "Lots of other people are suffering, let’s be clear. There are just more Christians, so statistically the numbers are bigger. Christians in most parts of the world are targets of convenience for people angry at the West. Also, Christians often share characteristics with members of other persecuted minorities around the world — sometimes they’re members of ethnic or linguistic minorities. But there is this unique association with the West. "That association is one of what you describe as several major factors you saw. What else? "First is the recent dramatic growth of Christianity. This pope said there are more persecuted Christians today than in the early church, and well, of course, there are many more Christians. The most dramatic growth today is outside the West. Christianity is growing in neighborhoods where the West is often unpopular. The growth is in regions where there isn’t a robust respect for religious freedom. "How many Christians are there? "The commonly used figure is there are 2.3 billion Christians. For comparison, there are 1.7 billion Muslims. Of that 2.3 billion, maybe 200 [million] or 300 million live in places where they are in the minority. But even when they are in the majority — and this is another factor — they often share some other characteristic of some other kind of minority, like being in a language minority. "So those are the main factors: the recent growth of the Christian population, and in places where religious freedom is a problem. Also, they are often also some other kind of minority, and the fourth factor is the link with the West. "In your reporting, did you speak often to perpetrators? Do you feel you understand the motivation? "I didn’t actually interview perpetrators. But if you talk with the intellectual architects of the violence, there is no single protagonist and no single explanation. Hindu radicals say it’s about hard-line Indian nationalism. And they see Christians as an alien presence. In Latin America, religion isn’t important. They are killing Christians because those are the ones standing up against terror. There have been dozens of priests and bishops killed by drug gangs who see them as a threat to their livelihood. "So does it make sense to put it together as if there is one 'war'? 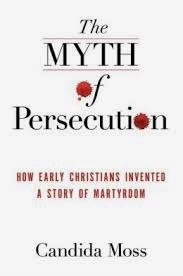 "The argument for putting this together [in a book] is that these are innocent Christians killed for reasons related to their faith. The reasons why are wildly different. "Radical Islam may be the leading manufacturer of anti-Christian propaganda, but radical Islam could drop off the face of the Earth and that wouldn’t mean Christians would be protected. The most violent anti-Christian outbreak was in Orissa, in northeastern India, when Hindu radicals hacked 500 people to death in 2008. "You also call it a myth that this is a political issue. 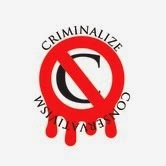 "I’m trying to reframe this as a human rights issue. In Latin America, nuns and priests [who opposed U.S.-backed military rulers] were killed around 1980, and back then it seemed like a left-wing concern. Then concern about anti-Christian stuff came back with a vengeance, especially after Sept. 11, as an issue of the right, in the so-called clash of civilizations. Neo-cons adopted the issue because they see it as a continuation of what they call the war on religion in the United States. For several decades, this has been put through the sausage grinder of U.S. politics and is seen as left- or right-wing issue. My point is there are martyrs on both sides. It has to be seen as beyond politics. ". . . The ordinary American, when you talk about religious persecution, they think it’s about whether you can pray before a football game. The global situation is something most folks never thought about before. "It’s the holidays, and some American Christians see pressure on religion here in the United States. 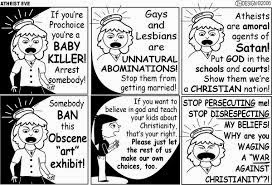 Do we have a 'war on Christianity' here? "What I find most frustrating about the whole thing is, to the extent that there is a war on religion in America, it’s a metaphorical war — in court, pop culture, on front pages. There is a lot of stuff religious believers find worrying and threatening, but no one is getting shot for their faith. What frustrates me is, there are really people being shot for their faith. In the States, a threat to your religious freedom means you might get sued. In the rest of the world, you might get shot. ". . . I’m not trying to say I don’t think those issues are important. It is worth asking: Is a society that starts nibbling away at the religious freedom of institutions going to start limiting the religious freedom of people? That’s fair. But there are millions of people who do face threats to life and limb." Q. How many warriors against American Christianity does it take to change a light bulb? A. None. There are no such things as warriors against American Christianity. So much for the American War on Christians. In other countries Hindus kill Indian Nationals, Catholic nuns and priests who "opposed U.S.-backed military rulers]" in Latin America were killed too...and in the U.S? Not a peep except for the stray atheist or two laughing in the book store at some passage in Genesis. 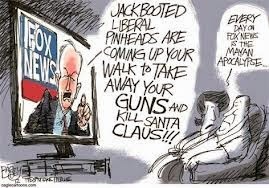 It's a shame that American Conservative Christians don't get shot for their faith, it would make them so much happier. have been doing to them."